What the Bible teaches about prayer with insight. Our prayer life as Christians, defines our level of communion with our Lord. The power of prayer is directly proportional to the depth of our relationship with Jesus. The deeper rooted we are in Him, the fuller of the Spirit and of the knowledge of God's Word, the better we will know God's will. That will cause us to pray to please Him and to receive answers to our prayers. We will see miracles happen! Too often, people ask for God's help and want to believe that He exists, only when they are desperate and cannot save themselves. But God wants to be with us in all things big and small. He wants to revolutionize our lives; to help us to renew our minds and to replace non-scriptural doctrines and prejudices, with the Bible truth, so we will become what He wants us to be in Christ. God intervenes when we ask Him to do so. He does not force us to change without our consent. Our heavenly Father wants us to be ready to work in "His vineyard". Through the Holy Spirit, He cleanses our minds of what we misunderstood and reveals the truth to us. He breathes fresh Spirit upon all who are ready to empty themselves of their own 'self' and make room for the Holy Spirit. A constant dedicated prayer life, led by the Holy Spirit is the key to these changes. In fact, the followers of pagan religions pray, perhaps even more fervently and with more faith, than many Christians do. And the devil, their lord answers them, strengthening their conviction that their religion is good and keeping them in darkness. It is sad that so many Christians do not understand how effective and powerful "the prayer of the righteous" (James 5:16b), made in Jesus Name, is. A Christian with no real prayer life, is powerless. He has no protection, no counseling from the Holy Spirit. He is also missing the light of Jesus (which brings clarity to any issue) and the wisdom that comes from God. All these causes him to become an easy target for the devil's attacks. Through prayer we communicate with God; we access His power; our hearts fill with His joy and peace, which is beyond human understanding; and we strengthen ourselves in the Lord and in His mighty power, as Paul advises us to do in Ephesians 6:10. God answers those who are sincere and seek him desiring to get an answer. His desire is to communicate with us, to strengthen our steps on the path of faith; He reveals things to us that cannot be learned from anyone else. Of course He wants us to have faith, to receive what He is reveals and act accordingly. Jeremiah 33:2-3 “Thus says the Lord who made it, the Lord who formed it to establish it (the Lord is His name): ‘Call to Me, and I will answer you, and show you great and mighty things, which you do not know.’"
Being "born again" of the incorruptible seed of the Holy Spirit, changes "our inner man." That is our spirit and this will transforms us completely, as we become one with the Spirit of God. But we will not be able to keep it "renewed", without a constant and devoted prayer life. David shows us the solution for moments of despair in Psalm 40. Many theologians say that this is a prophetic psalm of David, referring to Jesus in times of despair in the garden of Gethsemane. Whether this is about David, or it is prophetic about Jesus Christ, the message is the same; in tough times, if the child of God totally trusts in the Lord, his desperate cry for help will receive an answer. Our heavenly Father has all the power in heaven and on earth and intervenes to save us, no matter how severe our situation is. You may say that Lord Jesus still had to go through the ordeal of arrest, mockery, scourging and crucifixion for the sins of whole humanity, even if He prayed. This is true, but the Lord ended His prayer with: "“Father,” he said, “if you will, take this cup of suffering away from me. Not my will, however, but your will be done.”” (Luke 22:42). Jesus knew that this was the purpose of His coming to earth and that His Father heard His cry ("deesis" in the original Greek = prayer, supplication, need, demand) and gave Him supreme power to go through the ordeal. God does that for all His children; He never leaves us alone and always chooses beneficially for us in our behalf, even though many times we think we had a better solution. Jesus did not sin and never erred, was perfect in His living and had a constant and dedicated life of prayer. He spent time daily in the presence of the Father, and that refilled Him with the Holy Spirit. We need to pray with faith, to ask God's help in all aspects of our lives and seek to enter the presence of God on a daily basis, way more than Jesus did. Only a life filled with Holy Spirit and led by Him, will see the promises of the Bible fulfilled in it. God hears the prayer (or cry) of the one who lives a righteous life and seeks Him. He protects and solves the troubles of His children, when they call upon His name. God takes away our fears, troubles, diseases, stresses. The Lord is always there for those who have given up their pride and have a broken spirit. He comforts the wounded and those who grieve. Psalms 34:4, 17-19 "I sought the Lord, and He heard me, and delivered me from all my fears"
In 2 Kings, chapter 6, we read how the Syrian king sent his soldiers in an attempt to catch the prophet Elisha. The prophet was thwarting their plans for conquering Israel. The Holy Spirit showed Elisha that the army of angels sent by God to defend him and his servant, was bigger than the army of Syrians that came against them. Elisha prayed in faith for God to open the spiritual eyes of his servant, to see that they have nothing to fear. His next prayer was that God would blind the enemy army. In verse 20, after being carried into Samaria, Elisha was praying for God to open the eyes of the Syrians, and the Lord heard him. The result of these steps to victory, led by the Spirit, was even higher than that. On Elisha's advice, the king of Israel he did not kill the Syrian soldiers; he even treated them kindly, giving them "a great lunch" and then sent them back to their king. As a result, "...the bands of Syrian raiders came no more into the land of Israel." (2 Kings 6:23b) and the war ended with the Syrians. The Lord answers the prayer of faith beyond our expectations! The prayers of God's children, can change and transform the country where they live, in its entirety. The prayers that come from a believer with an humble heart who tries to live a sinless life, accesses the presence of God, is heard by God and will be answered by God. We come before God in prayer, because we know that He hears us and is sensitive to our needs and tears. The Greek term used in the Bible for God's love, is "Agape" and it means goodwill, benevolence, and willful delight in the object of love. That object is humans, so God's desire is to delight in us! That love is the motivation behind the sacrifice of Jesus Christ, who paid for all human sin, so that those who believe in Him could be saved. Psalms 10:17 "Lord, You have heard the desire of the humble; You will prepare their heart; You will cause Your ear to hear,"
The Bible shows us that God hears our prayers, if we keep our hearts pure and live in obedience to God. God expects total commitment from the believer. He wants us to seek and love Him, wholeheartedly, to humble ourselves by living in obedience to Him. Then, through prayer to open our hearts and tell Him our requests and problems. God is omniscient, He knows everything. Still, He expects us to ask for help, for Him to intervene. Why? Because He created us with a free will and therefore He does not force us and override our will. The Lord intervenes when we ask Him to. Proverbs 15:8 "The sacrifice of the wicked is an abomination to the Lord, but the prayer of the upright is His delight." For God to listen to us, we need to address Him. We can address him, when we seek Him with all our heart, even when He requires us to give up relationships, things or habits that are important to us. Through prayer, we enter into God's presence and it opens the door for the supernatural. God opens our spiritual eyes, showing us visions or He can even send His angels to speak to or help us. Daniel 9:21-23 "yes, while I was speaking in prayer, the man Gabriel, whom I had seen in the vision at the beginning, being caused to fly swiftly, reached me about the time of the evening offering. And he informed me, and talked with me, and said, “O Daniel, I have now come forth to give you skill to understand. At the beginning of your supplications the command went out, and I have come to tell you, for you are greatly beloved; therefore consider the matter, and understand the vision:"
Acts 11:5 "“I was in the city of Joppa praying; and in a trance I saw a vision, an object descending like a great sheet, let down from heaven by four corners; and it came to me.”"
Jesus gives us more tips about the way we should pray. He tells us to be honest, not "showing off" in our prayers, trying to seem holy to other people or to think that by praying with a multitude of words, will cause our prayers to be answered. On the contrary, intimacy with the Lord in prayer, seeking to enter into His presence is what brings the answer. Jesus wants us to realize that "perseverance" is also important in prayer. In Luke 11:5-13, Jesus admonishes the desperate persistence of a friend seeking help, with the way we should persist when we pray to our heavenly Father. Then in chapter 18:1, Jesus "...spoke a parable to them, that men always ought to pray and not lose heart." And continues with the parable of the corrupt judge with the persistent widow, who got her justice, even though the judge initially was not going to do it. Luke 18:6-7 "And the Lord continued, “Listen to what that corrupt judge said. Now, will God not judge in favor of his own people who cry to him day and night for help? Will he be slow to help them?”"
The prayer of faith which is in accordance with the will of God, will not be in vain. It is not about believing, because we forced ourselves to believe that the Lord will fulfill a particular request, because that is what we want. It is about the faith received through the Holy Spirit that makes the promises of Scripture applicable to the situation or our need, to become alive in our heart; so vivid and real that no thing or no one could make us doubt that we will receive what we have asked for. We know that we have faith to receive what we ask from our Lord, when He is more real to us than the problem we have. And as a result of strong faith, "we will be masters of the work required." Faith based on our will, no matter how firm and unwavering it is, won't change God or His will and plan for what we pray to Him. Faith received as revelation of the Holy Spirit reveals God's will and leads to prayers that will receive the requested response. 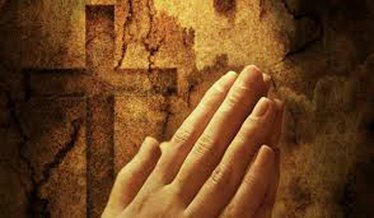 The prayer such as "give me ... Lord" - "please bless me and help me," may take years to get an answer, if ever. Why? Because we do not spend enough time in prayer to "seek and find" the door that opens the supernatural world. That is where we "we knock and the door will be opened" so we can enter into the presence of God. If we are not in His presence, we cannot know His will in order to pray correctly and to receive what we ask. Penetration into the Lord's presence, strengthens our belief that our prayer is heard, and will be answered. 1 John 5:15 "There is power in the name of Jesus Christ! When we ask for something in the name that is above every other name, we receive. God's desire for us is to have full joy. He did what he had to do and taught us everything we need to know, to be able to live in total enjoyment! Praise the Lord!" We need to pray sincerely and with the direction of the Holy Spirit, not to seem "holy" in man's eyes, but because that is part of our new spiritual nature. If we ask the Holy Spirit to teach us to pray and to lead us in prayer, then we can know that we will be praying according to the will of God. No one knows the will of God better, than the Holy Spirit, who is God. Jesus tells us that He will teach us all things and will help us remember them when we need them. The disciples heard the teachings directly from Jesus. We have them in the Bible and we can understand them fully only with Holy Spirit's help. He will also cause us to remember the scriptures when we need to apply them or to be encouraged. John 14: 26 ""But the Helper, the Holy Spirit, whom the Father will send in My name, He will teach you all things, and bring to your remembrance all things that I said to you."" Bible verses about the importance of prayer. ARTICLES ABOUT "FAITH AND TRUST"
This is a fresh look at the power of faith that we can see through Abraham's life. Encouragement & Scriptural guidance for healing. ARTICLES ABOUT "PERSEVERANCE & STRENGTH"
Copyright 2016 Carmen Puscas May be used for personal study or instruction but shall not be copied and/or distributed in whole or part without permission or for financial profit.